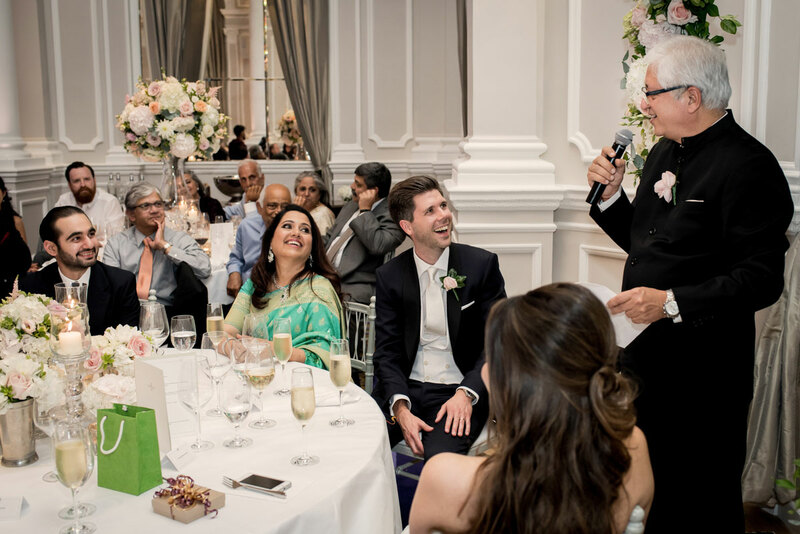 So, for me (and more importantly Rob), day two of Urvashi & Rob’s wedding celebrations started in pretty much the same spot as day one ended. 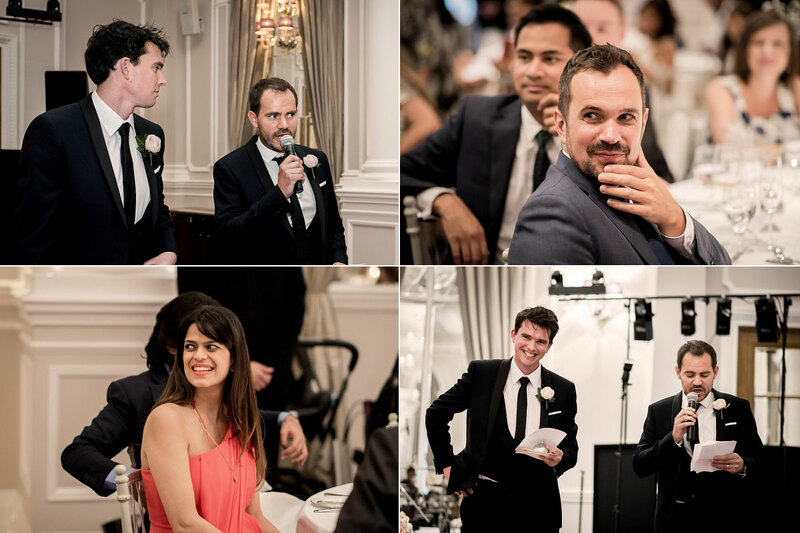 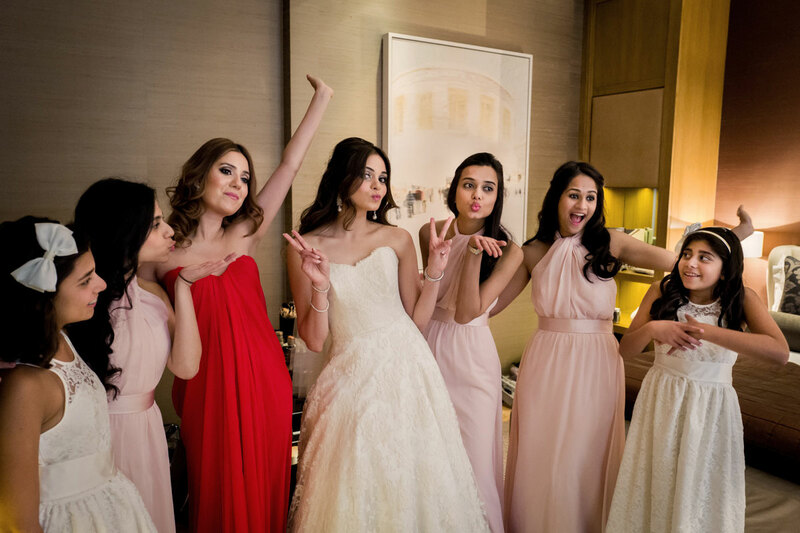 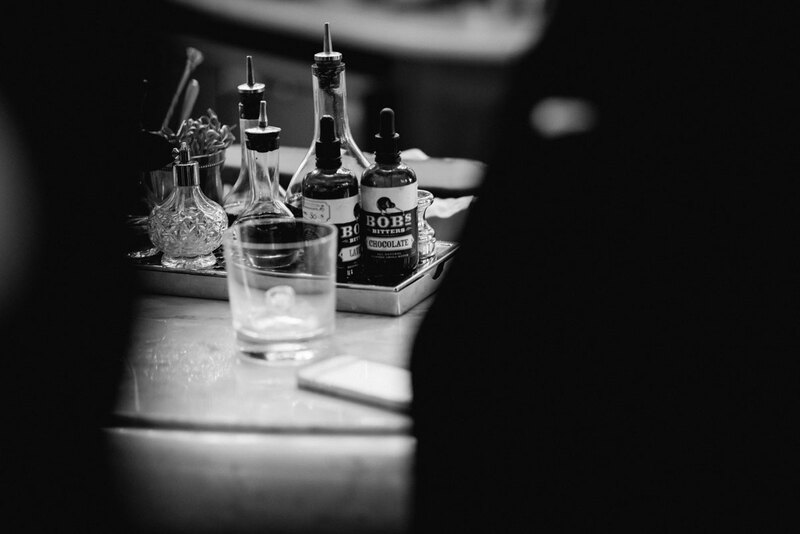 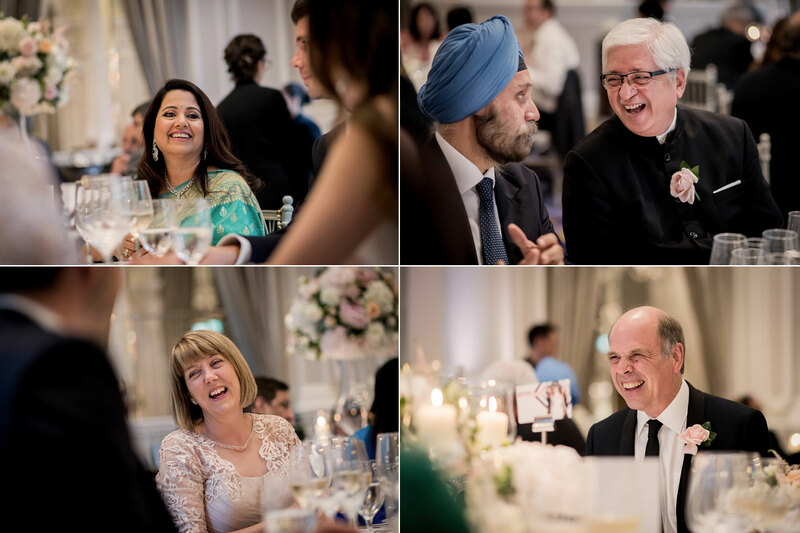 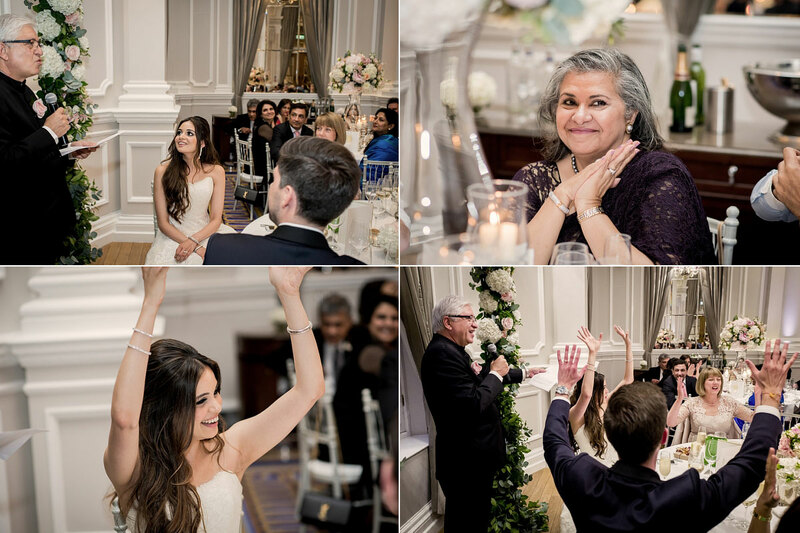 The difference being that it was a just a brief sojourn to catch some of Rob’s preps with his menfolk before heading across to Corinthia Hotel London to get up to speed with Urvashi, Phillipa Lepley and the girls who were doing the do bridal style. 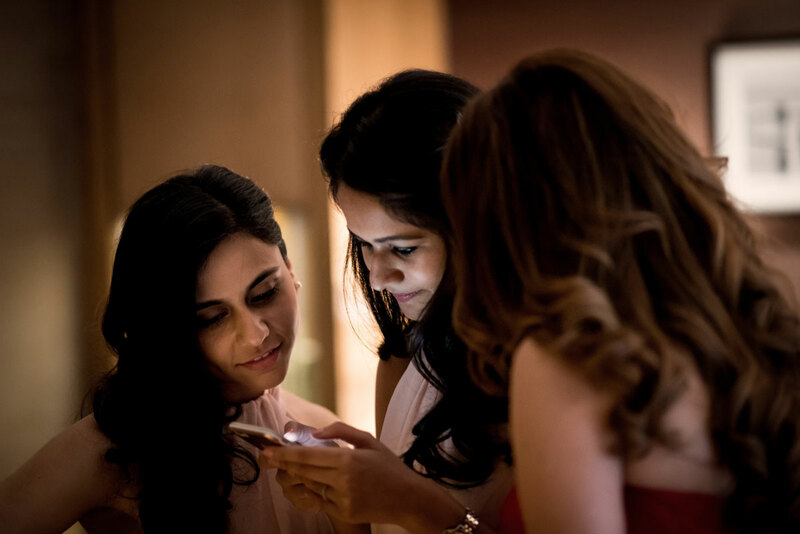 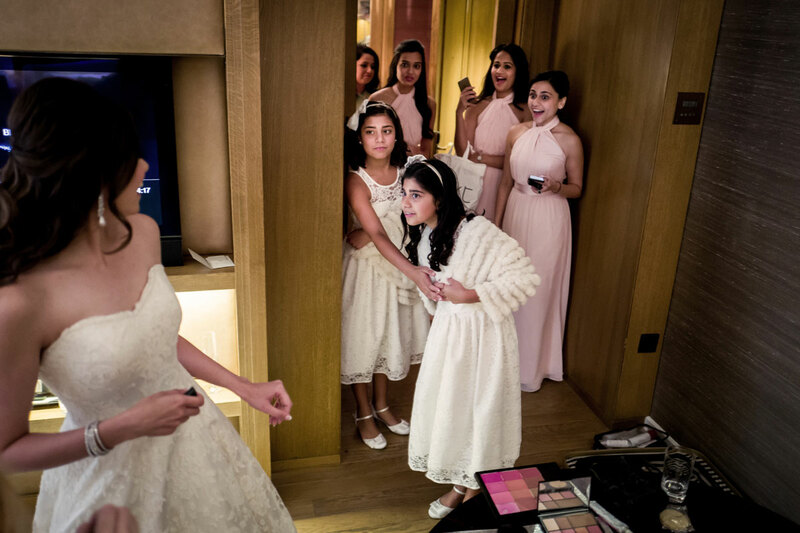 Pretty girls in dresses with phones to hand could only mean one thing really, and a sort of ‘selfie off’ was going down between the ‘maids before Urvashi appeared to the sound of jaws hitting the floor. 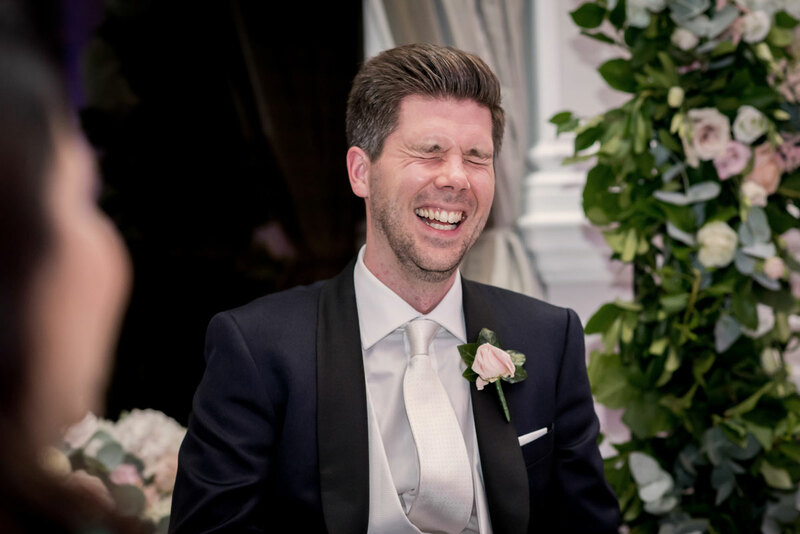 Did Rob (or Bobby by now – I’d know him 24 hours come on!) 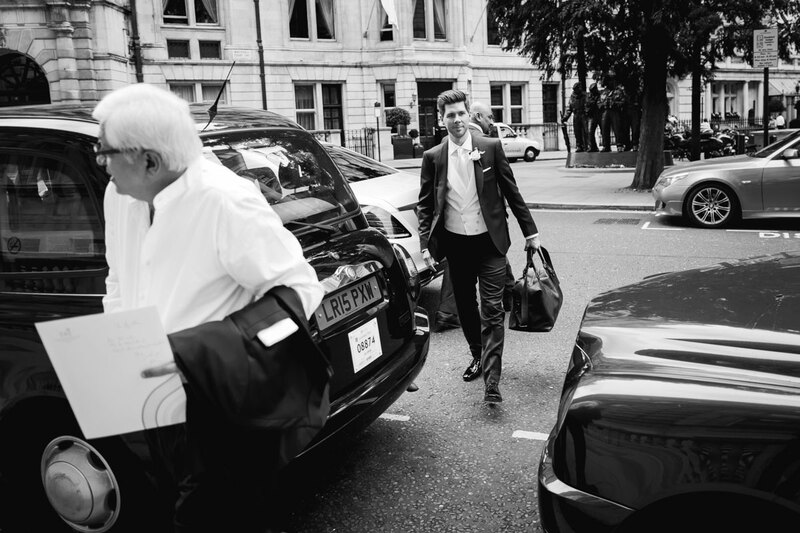 know what he was in for. 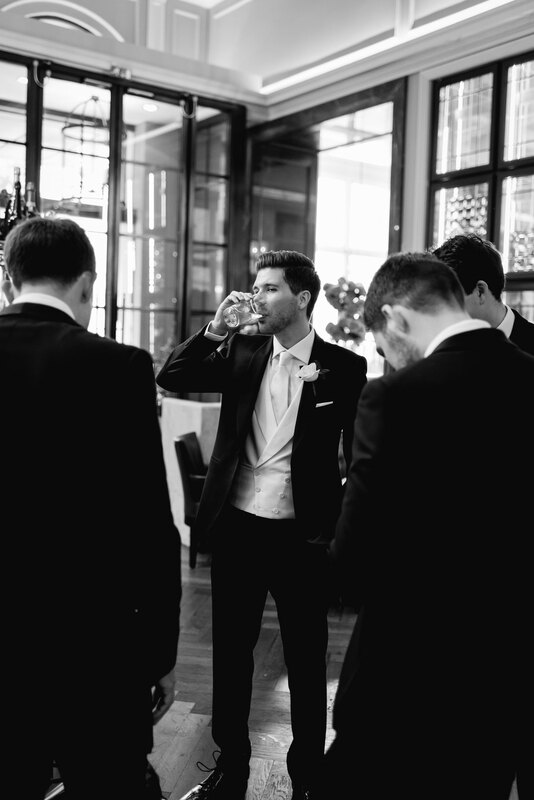 He was just chillin downstairs with the guys at this point. 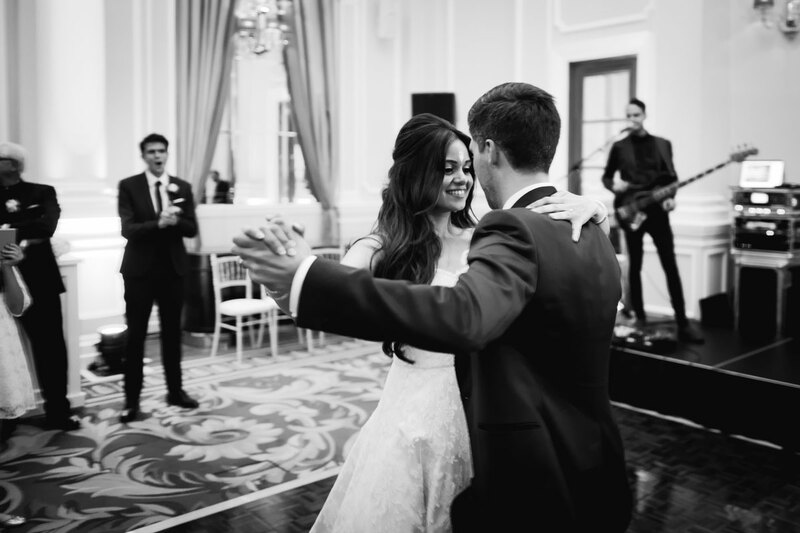 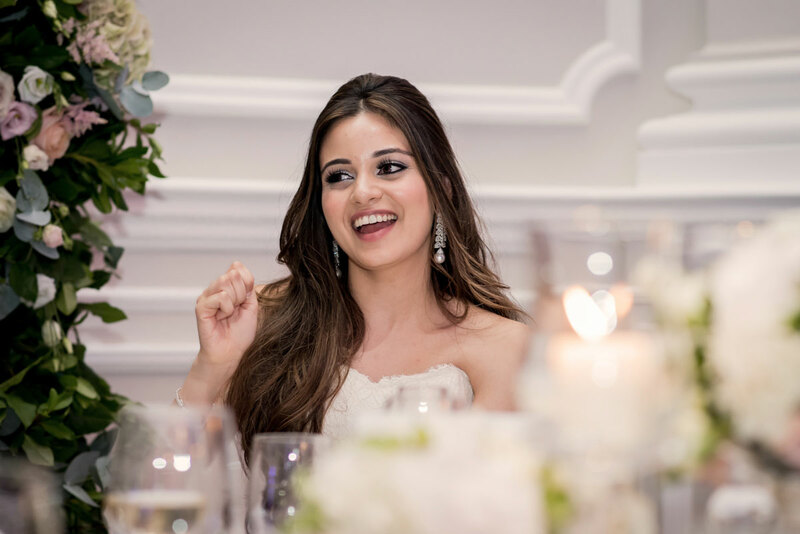 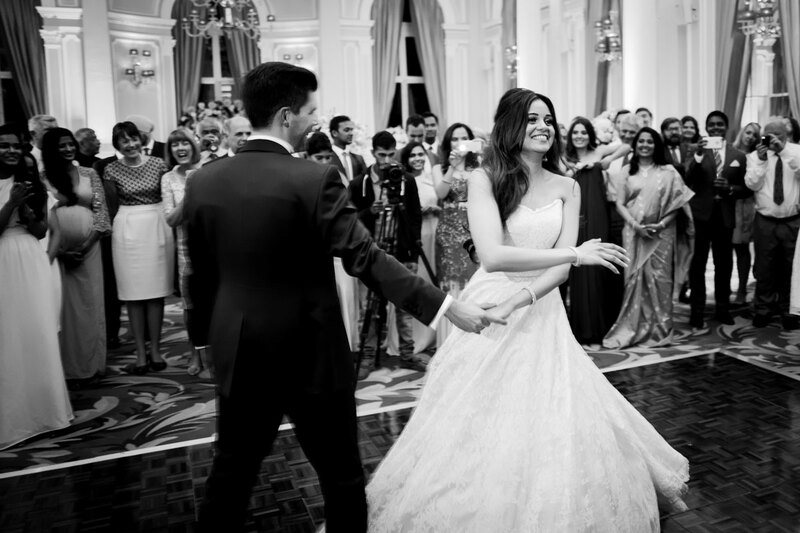 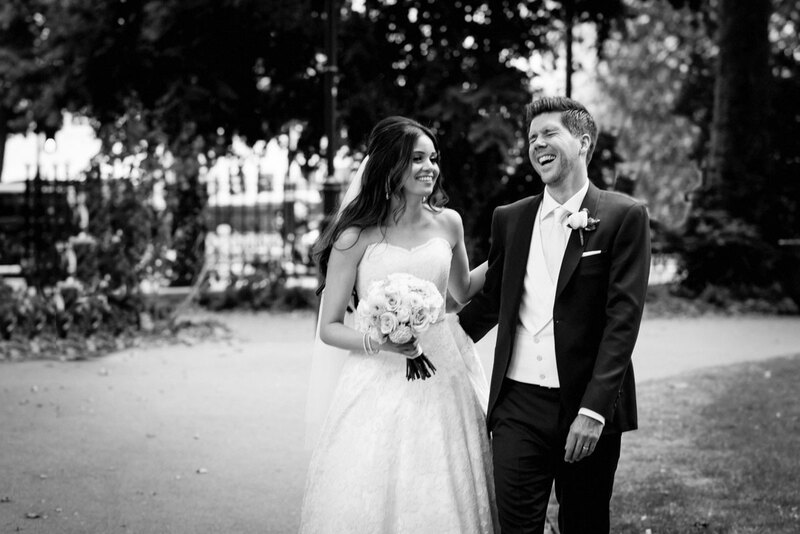 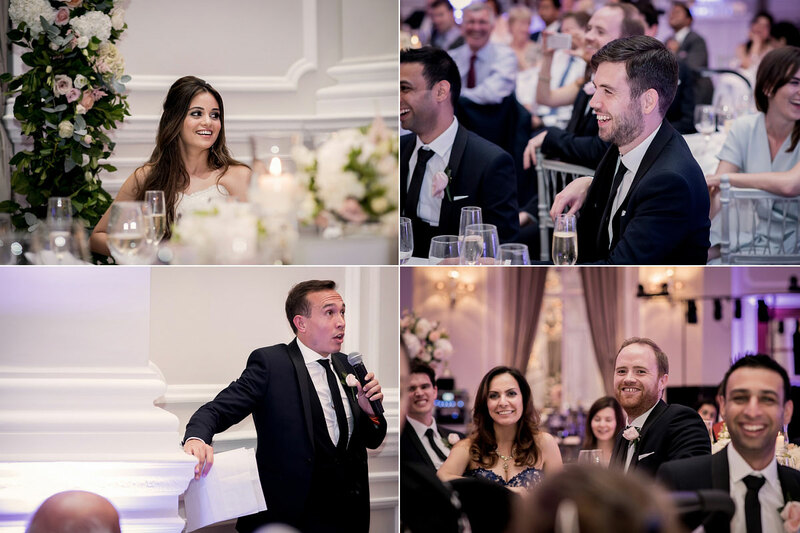 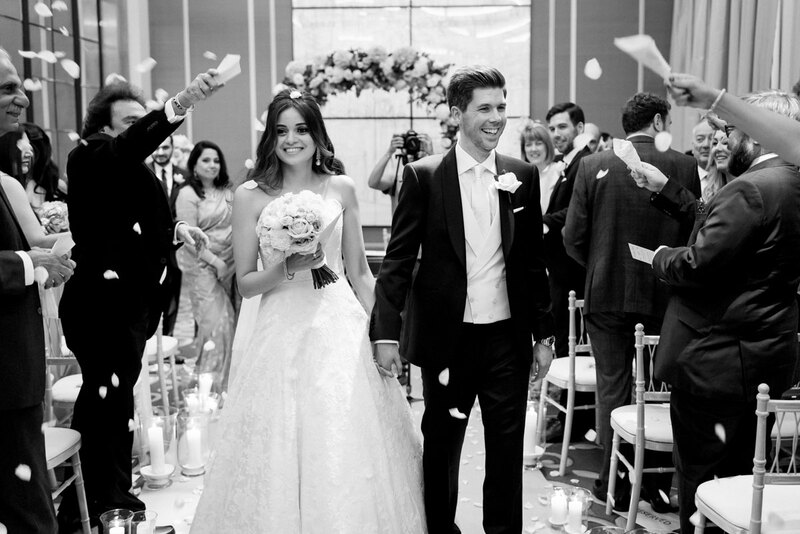 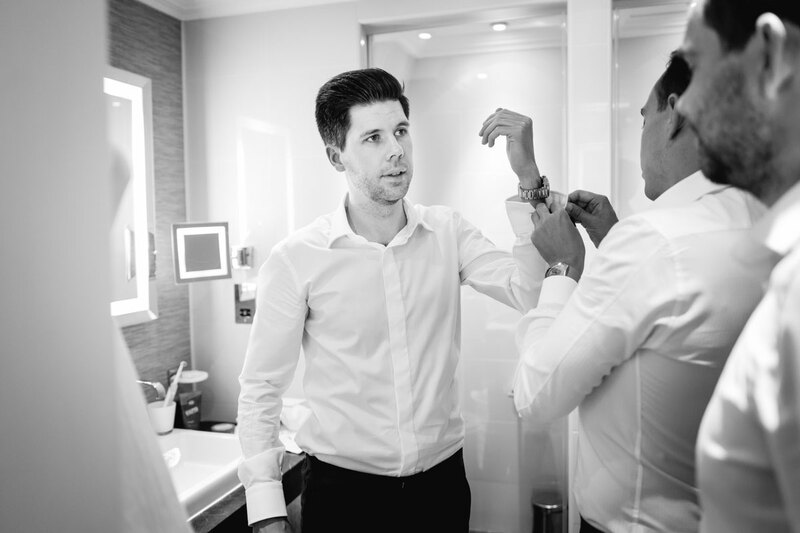 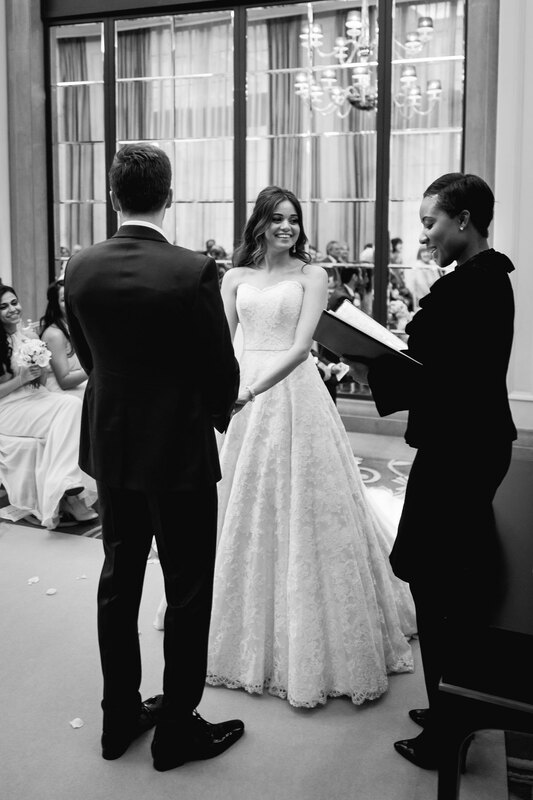 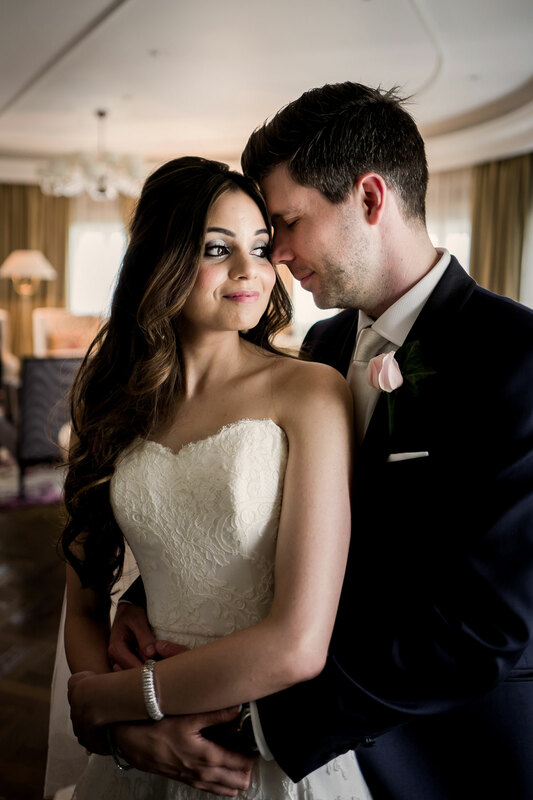 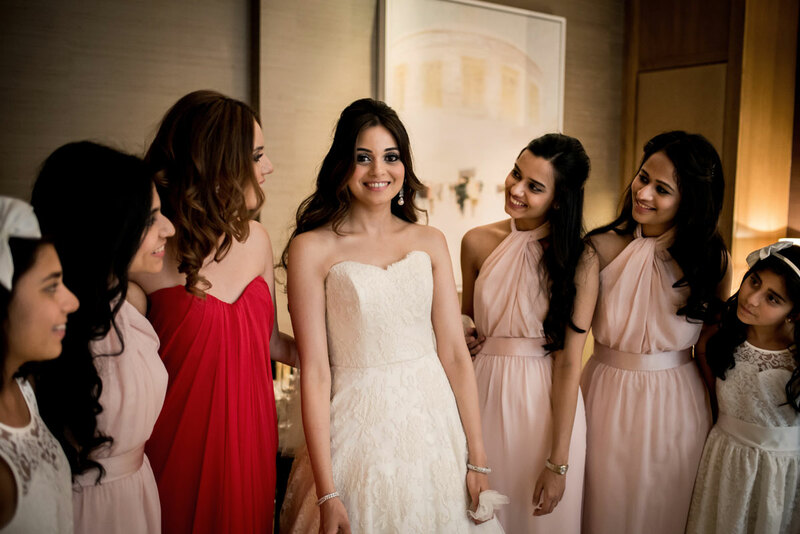 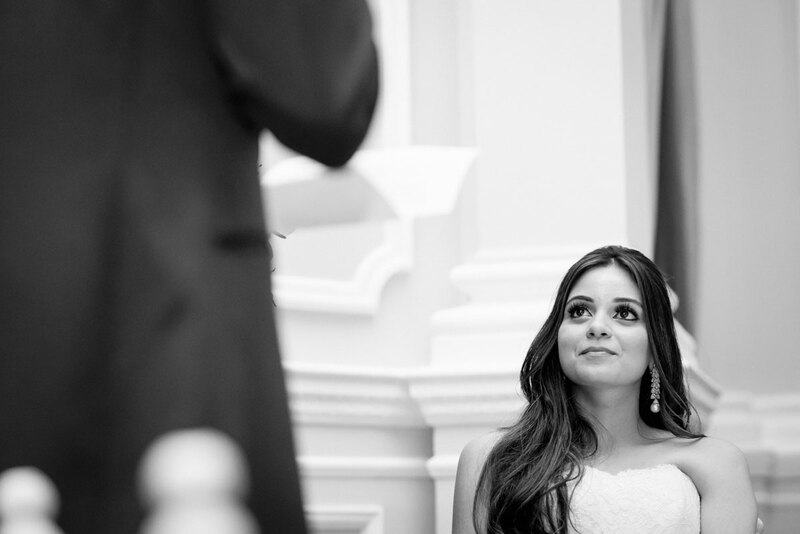 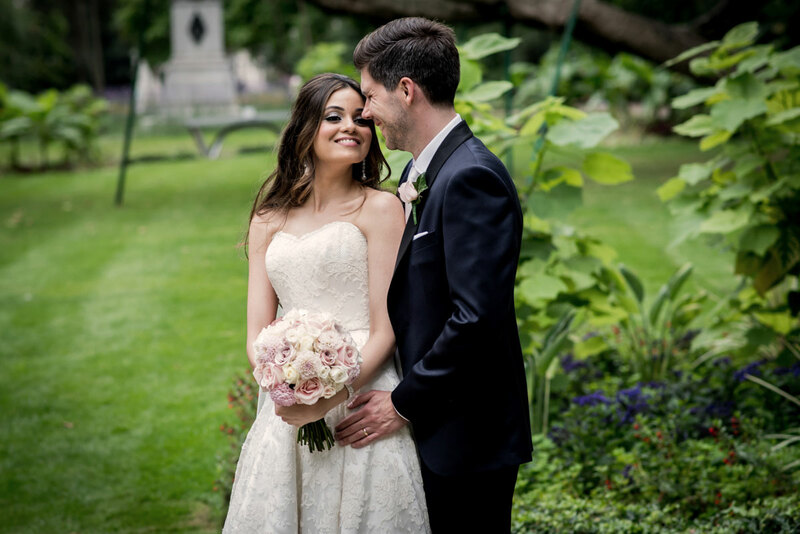 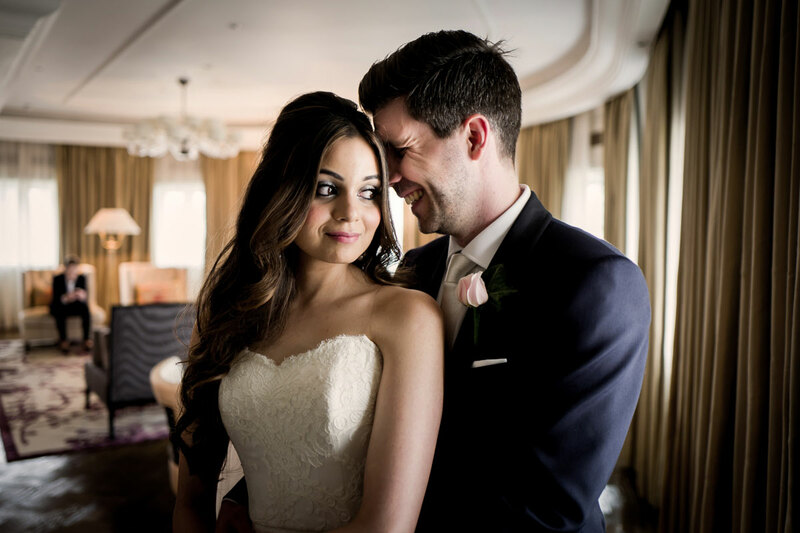 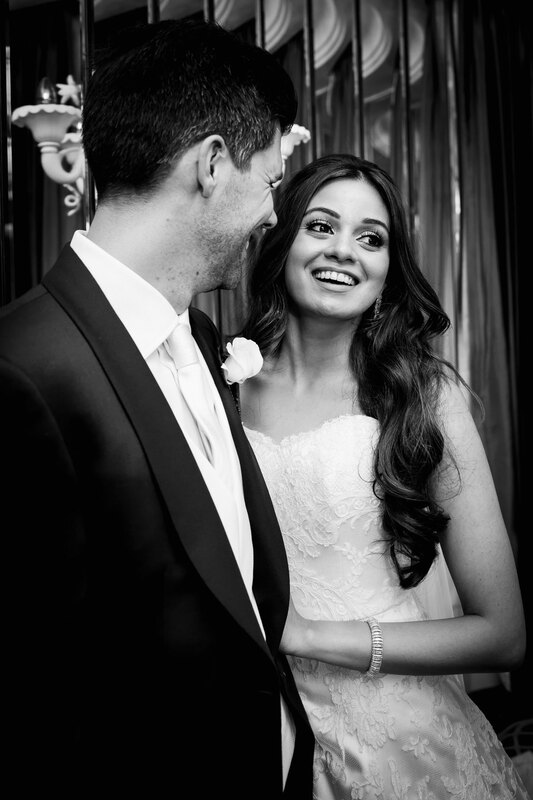 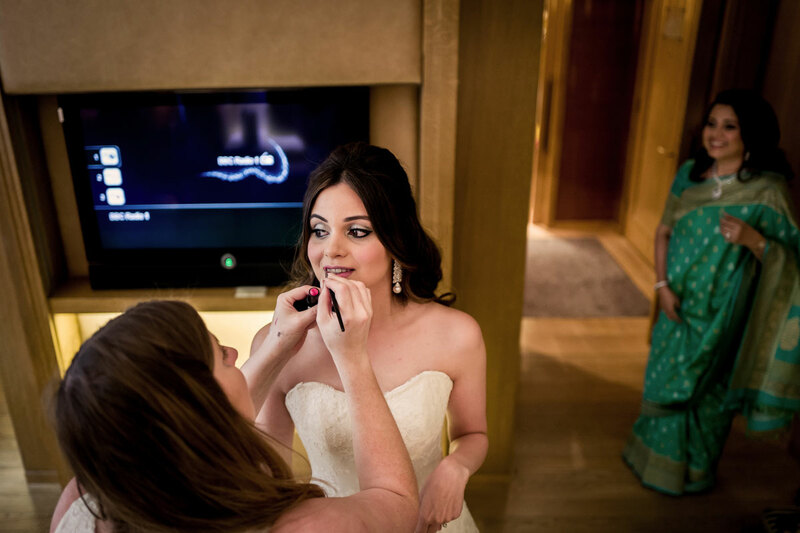 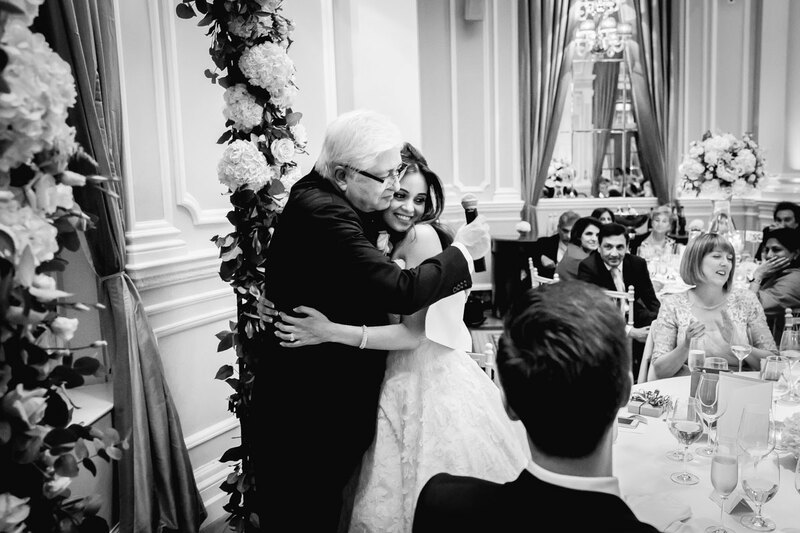 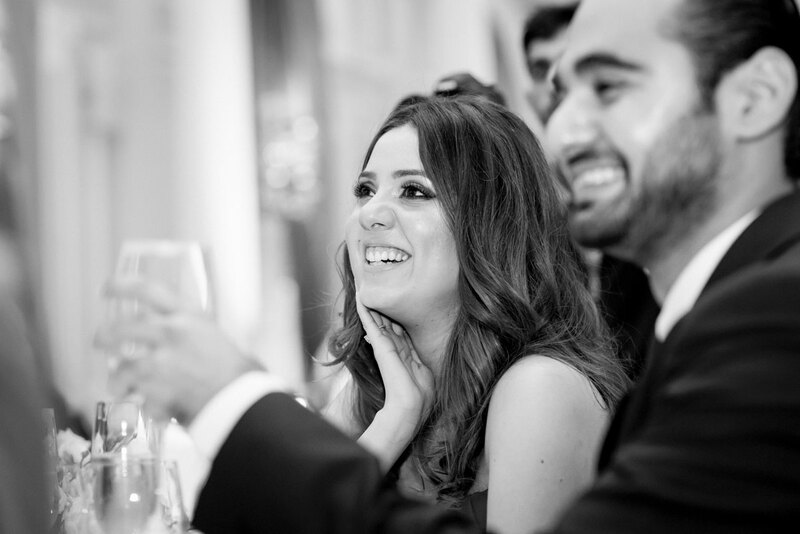 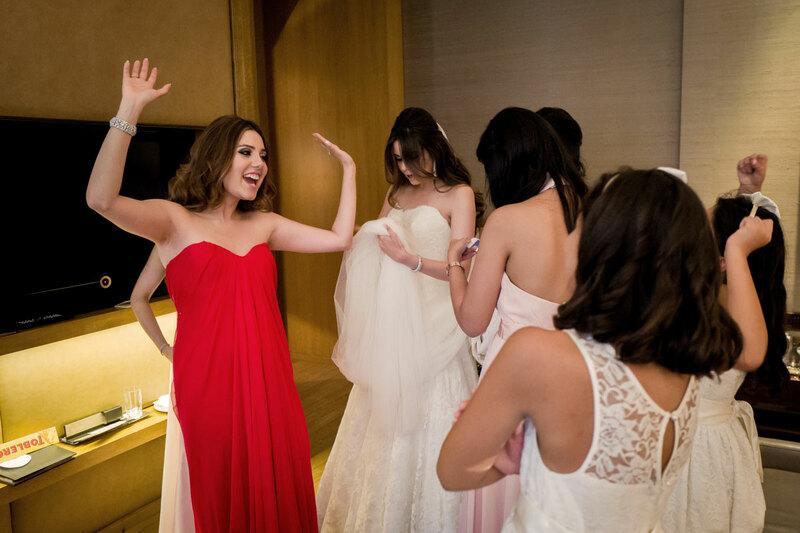 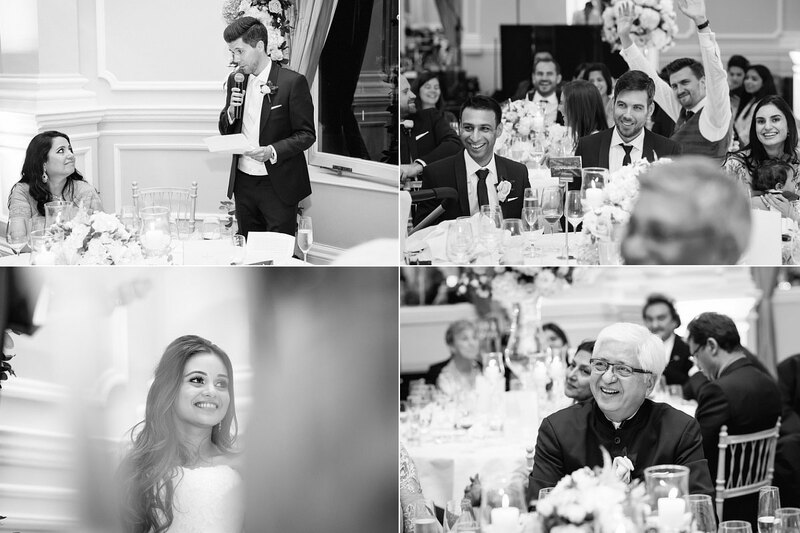 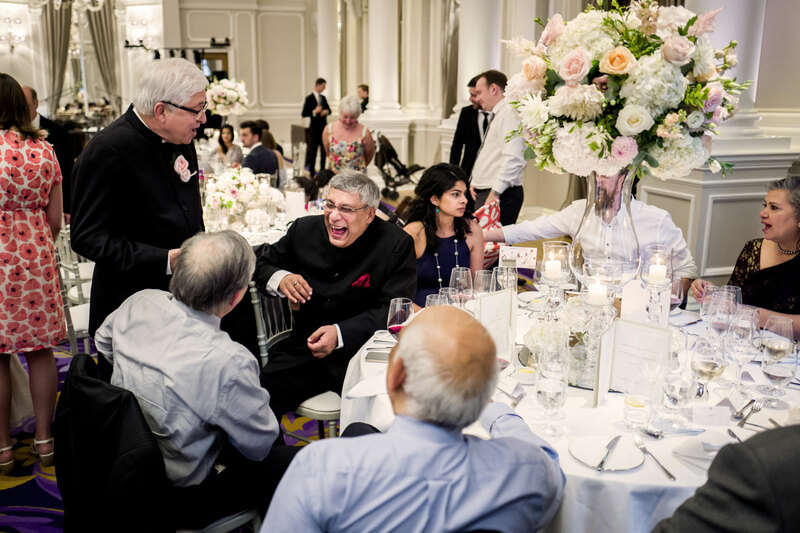 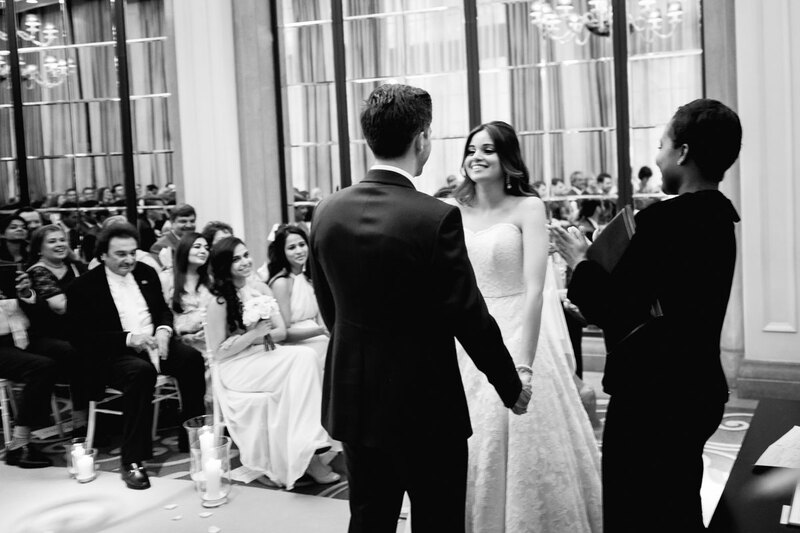 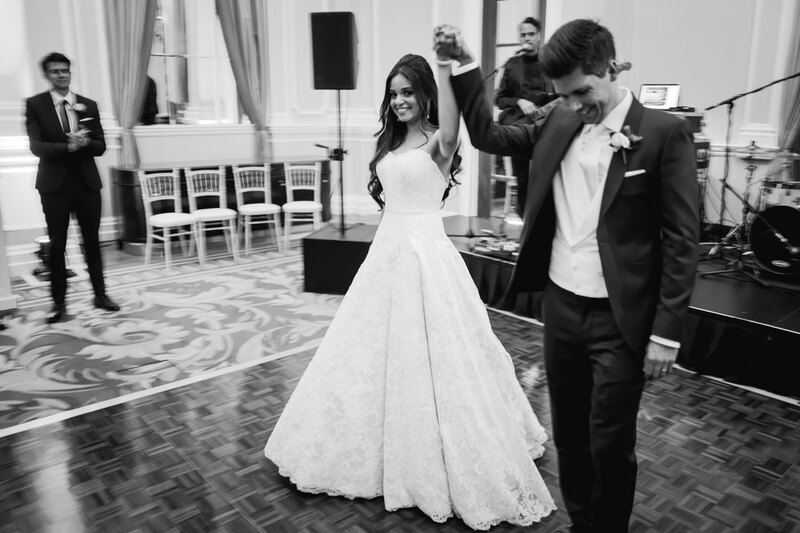 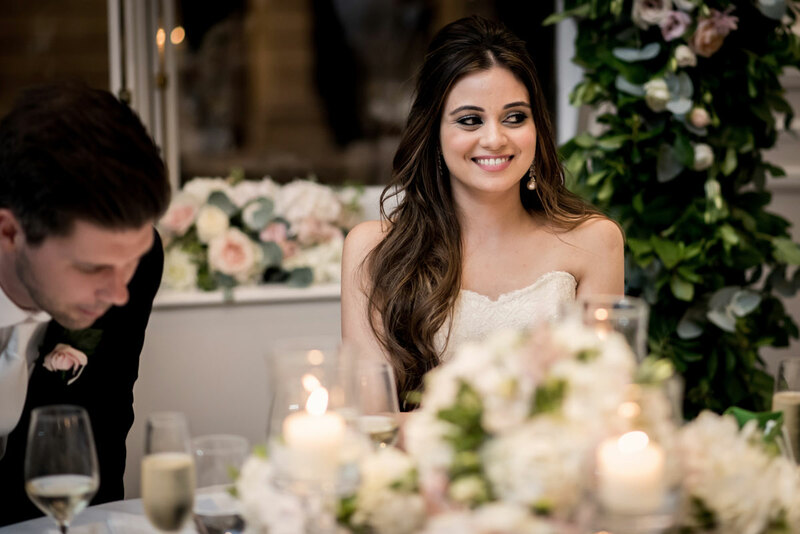 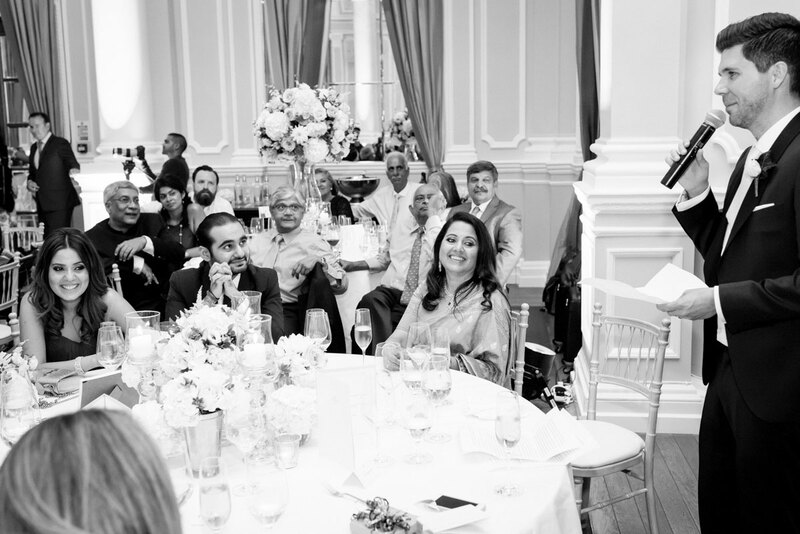 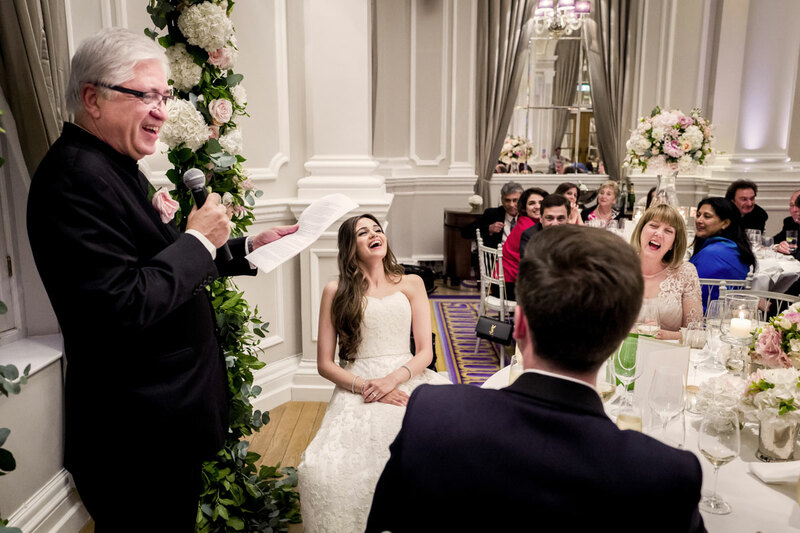 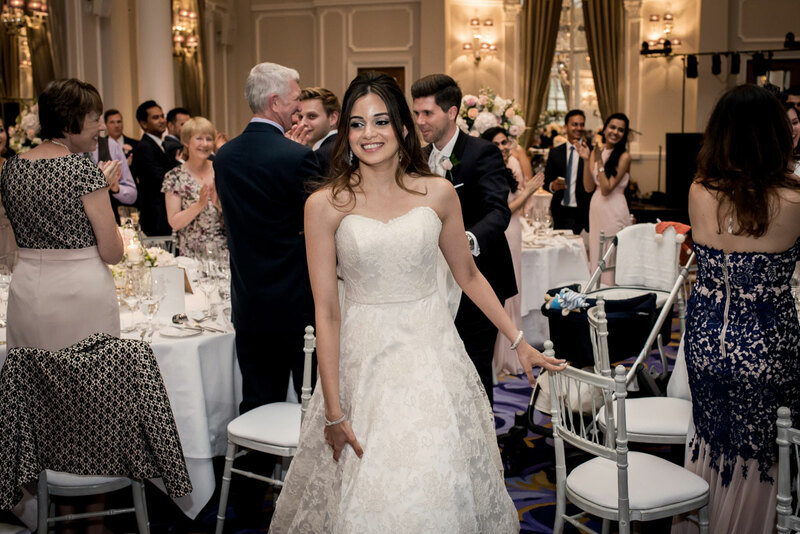 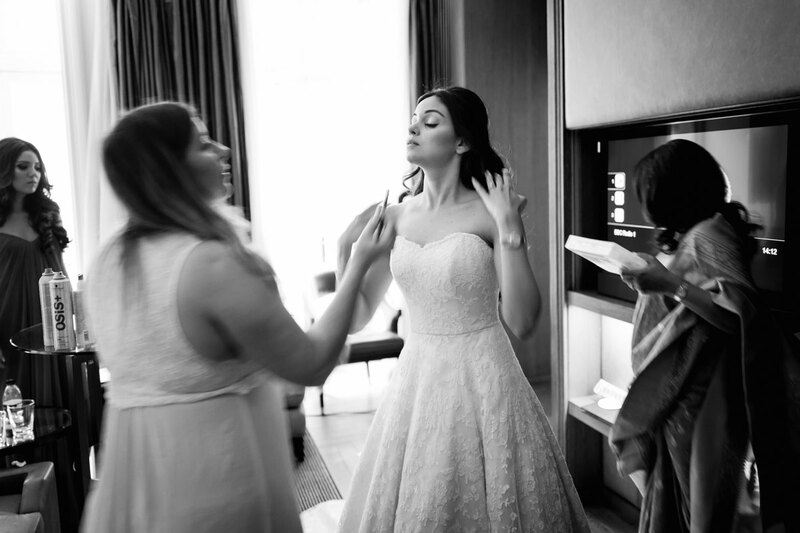 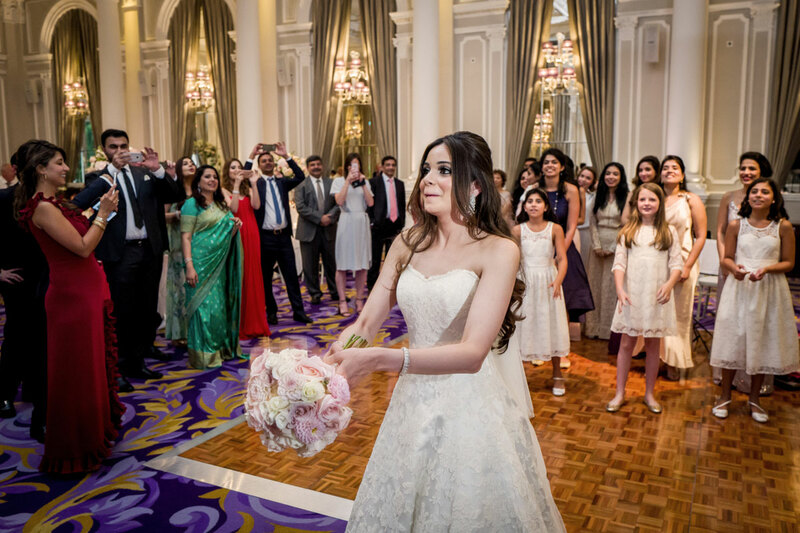 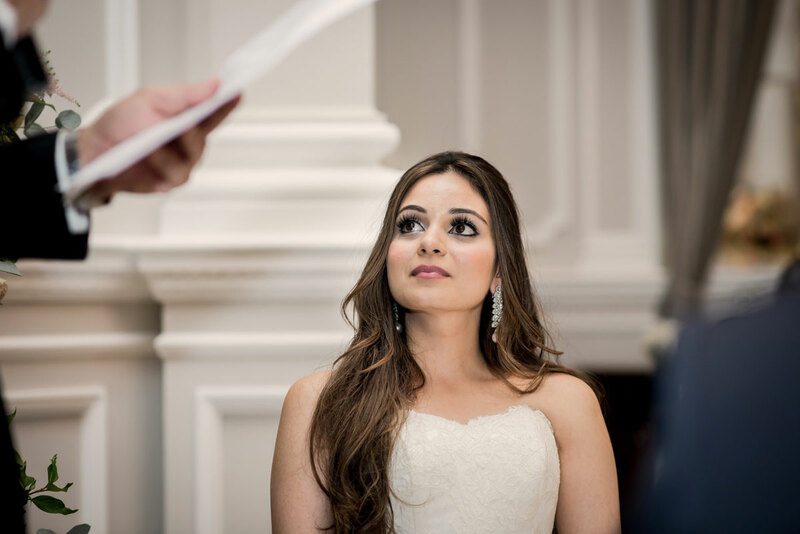 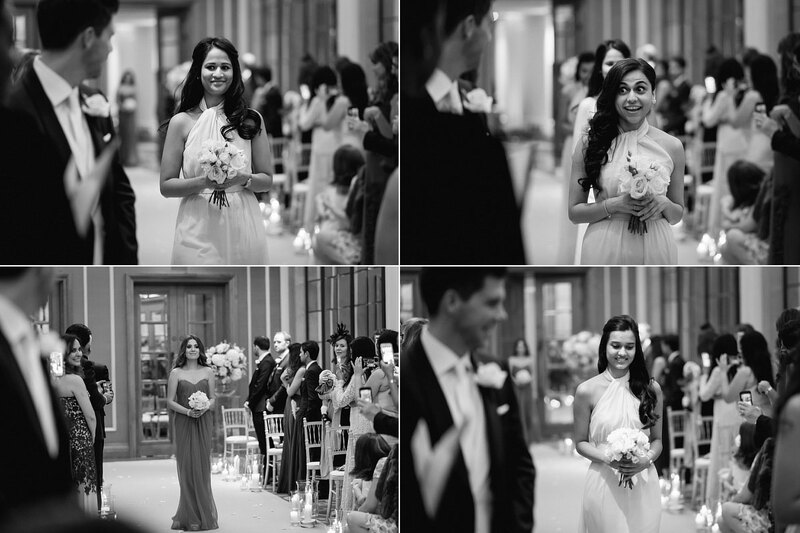 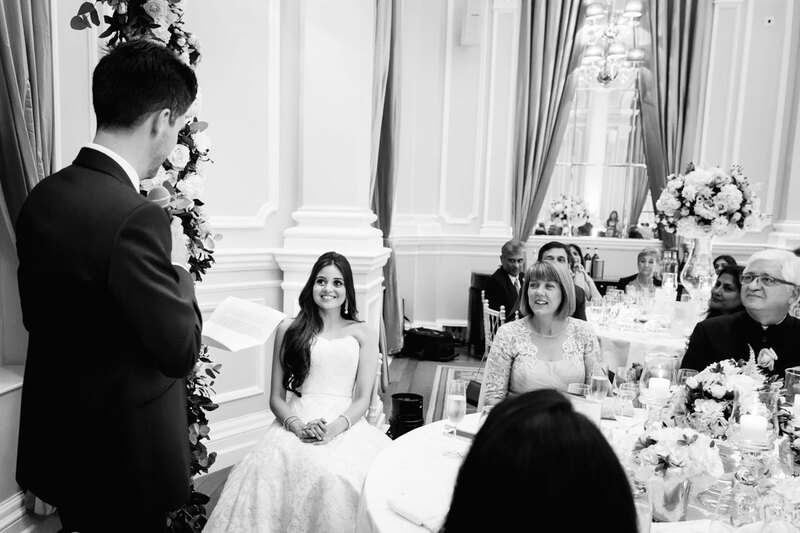 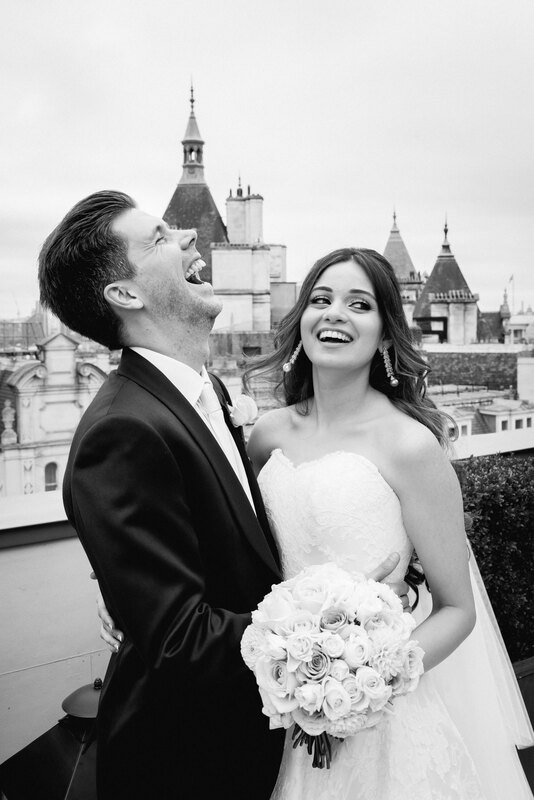 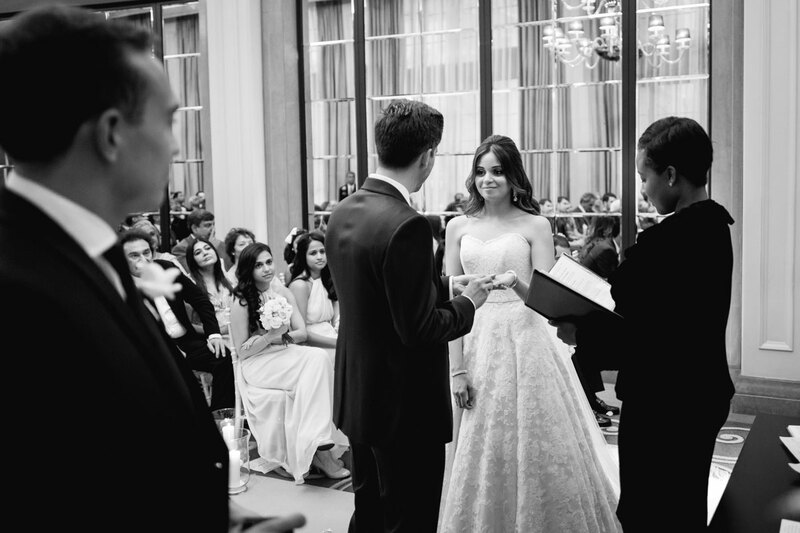 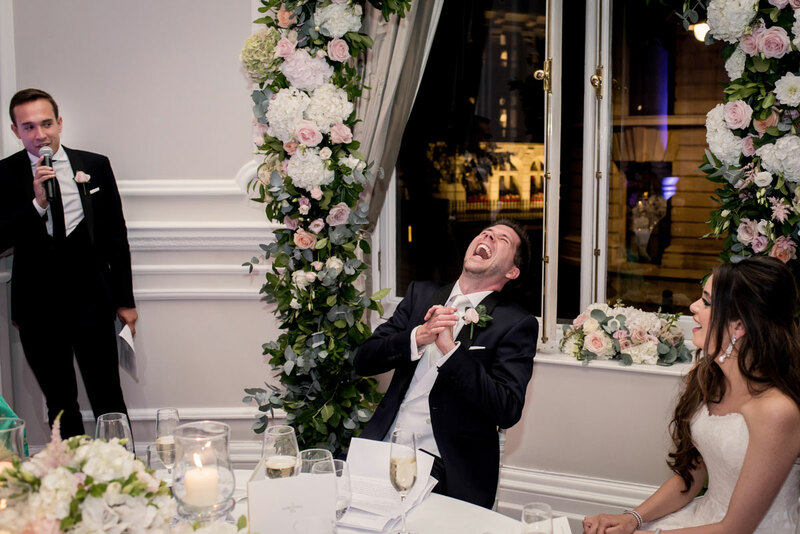 Either way, he didn’t have to wait too long to be wowed as Hannah from the Corinthia ensured this was one Indian bride was going to break with tradition and actually be on time! 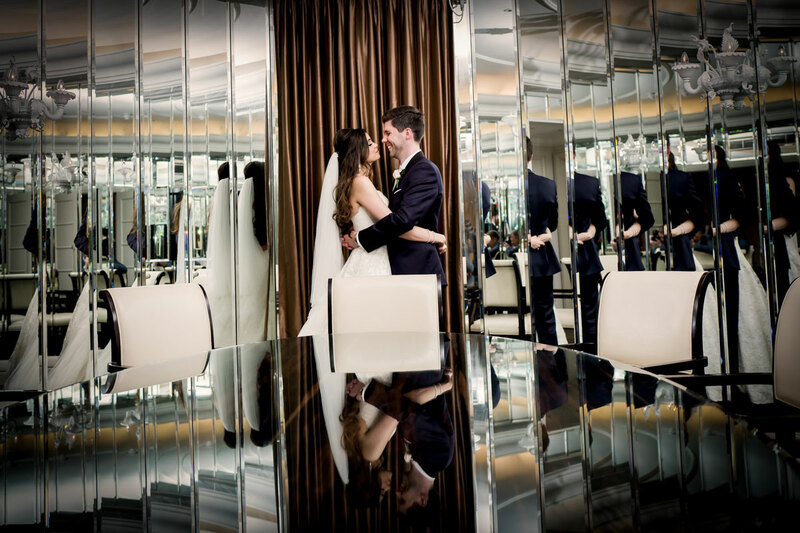 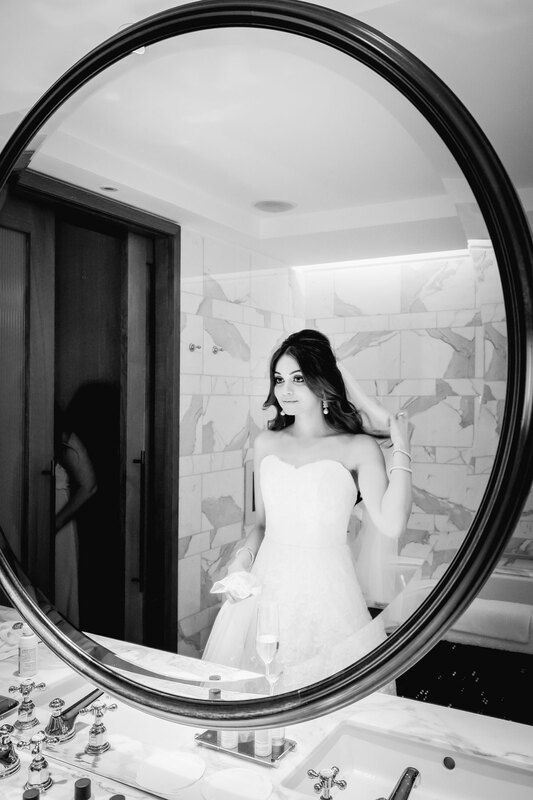 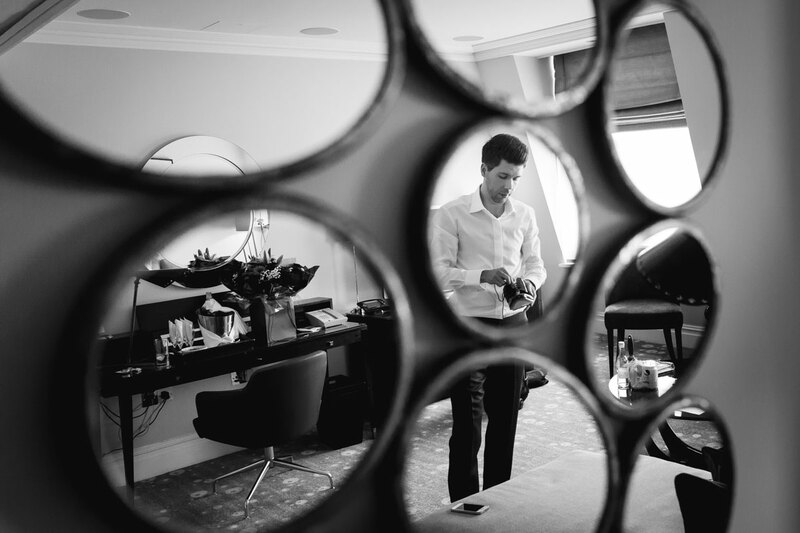 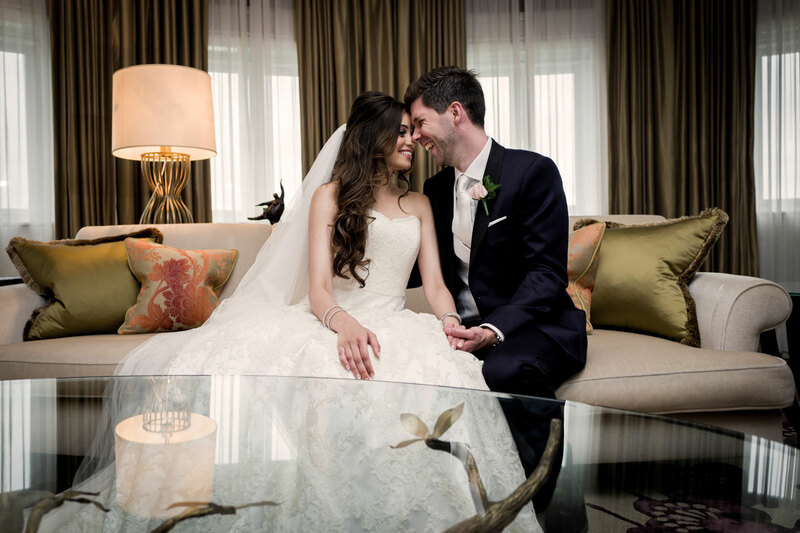 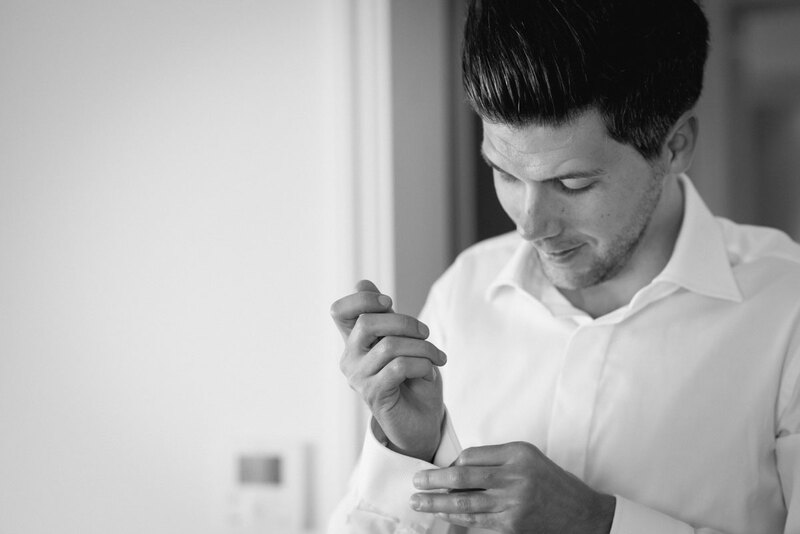 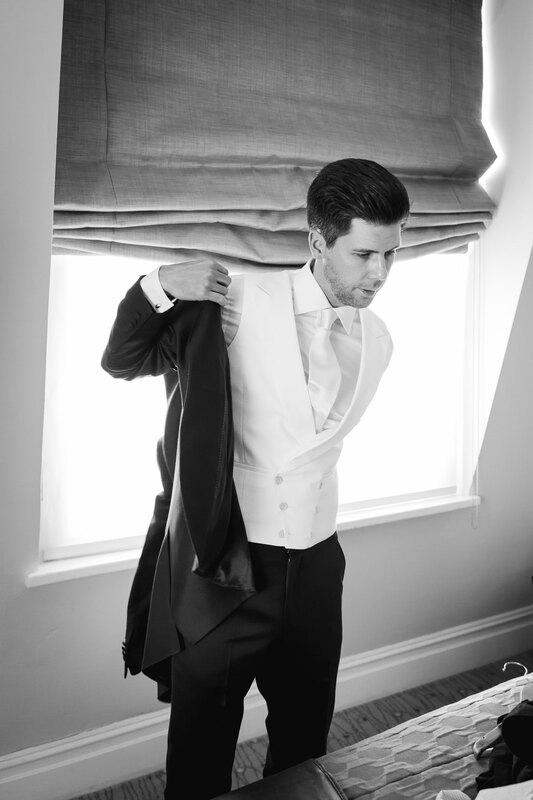 As with all weddings at The Corinthia, they look after you in true style by allowing you (and me with my cameras) to take a quick snoop around one of the suites whilst getting your ‘couple’ photos done. 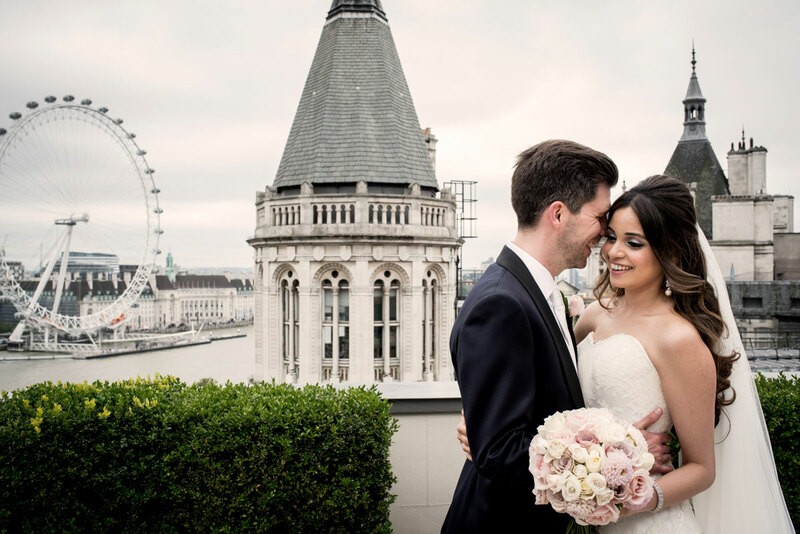 None of your looking for covert corners for photos here my friends, we were in the Royal Penthouse no less, with roof garden overlooking London town et al. 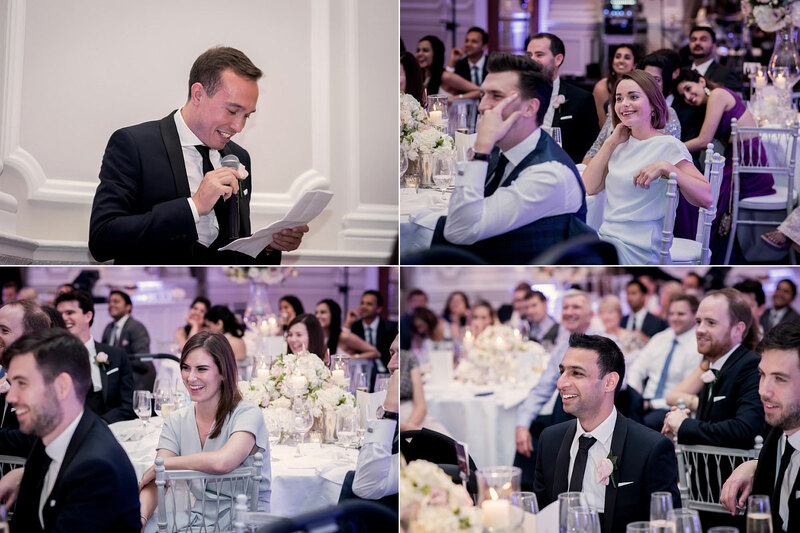 Dinner time was calling though, so after a quick zip around Whitehall gardens for more photos (dam photographers) we all plotted up for the evening celebrations in the ballroom, and were treated to some rather fine speeches before boogie woogie was on the cards. 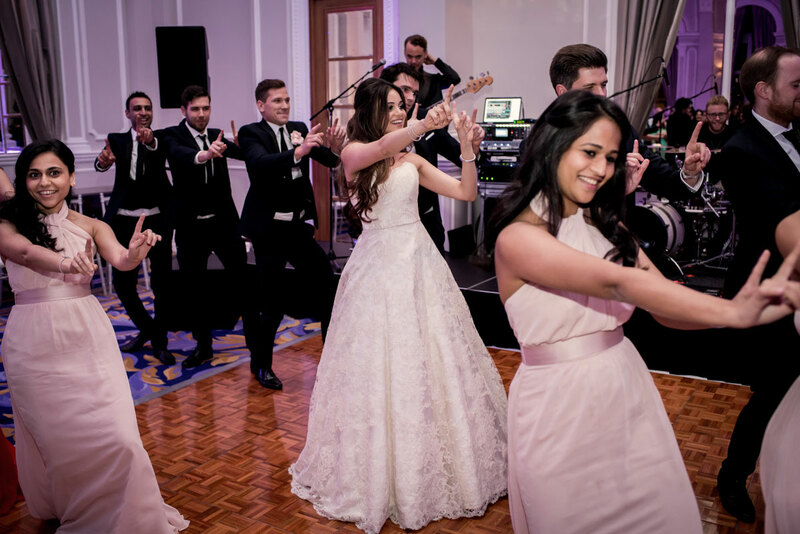 Not one of your regular first dance entrees to partytime here people, this was to include the full bridal party choreographed and in unison joining Urvashi and Rob on the dance floor in a bollywood routine to set the mood for ‘hair down’ time. 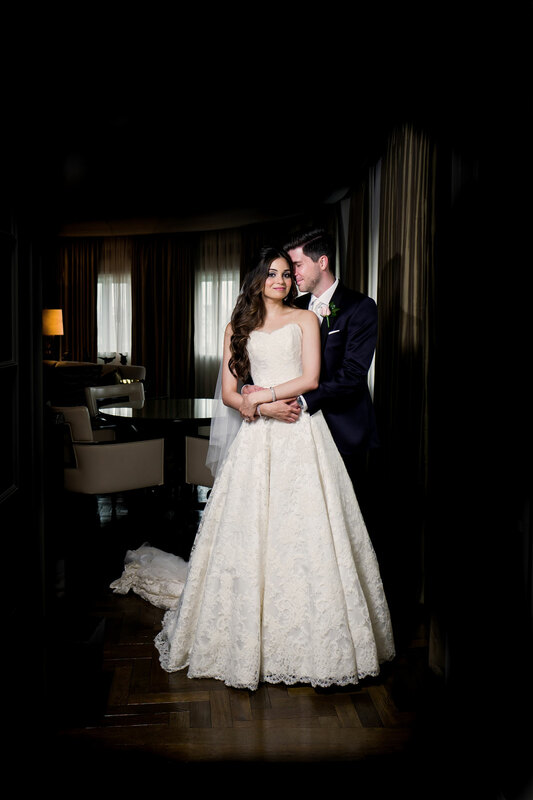 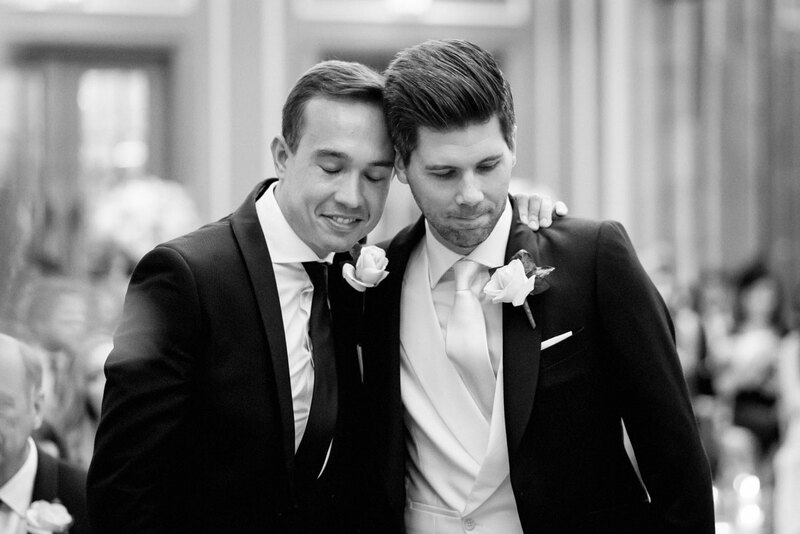 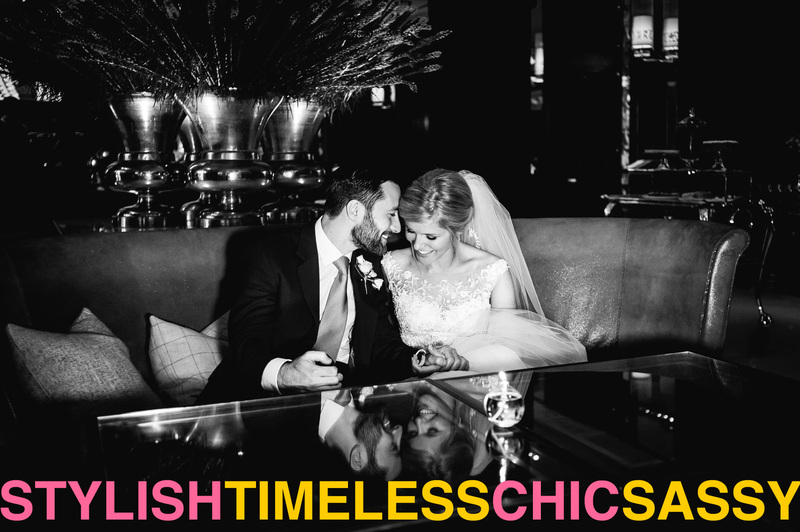 So two days, two spectacular wedding gowns, two rather fine bespoke suits but just one fine couple. 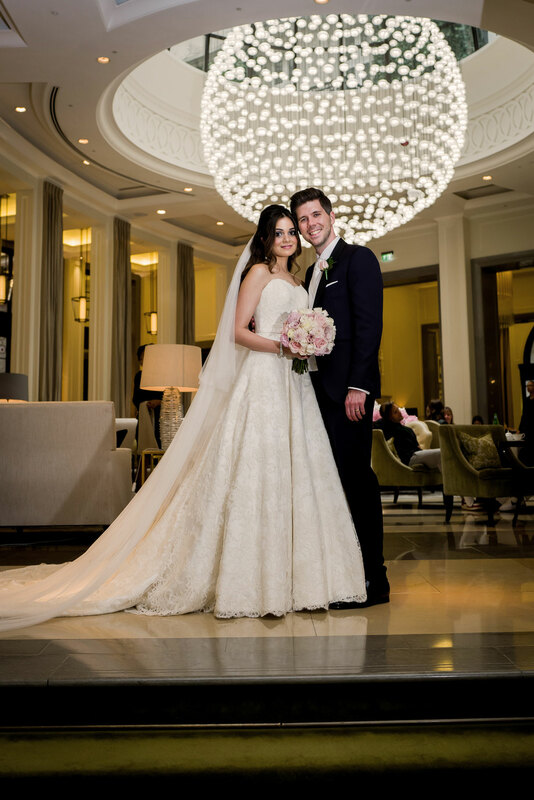 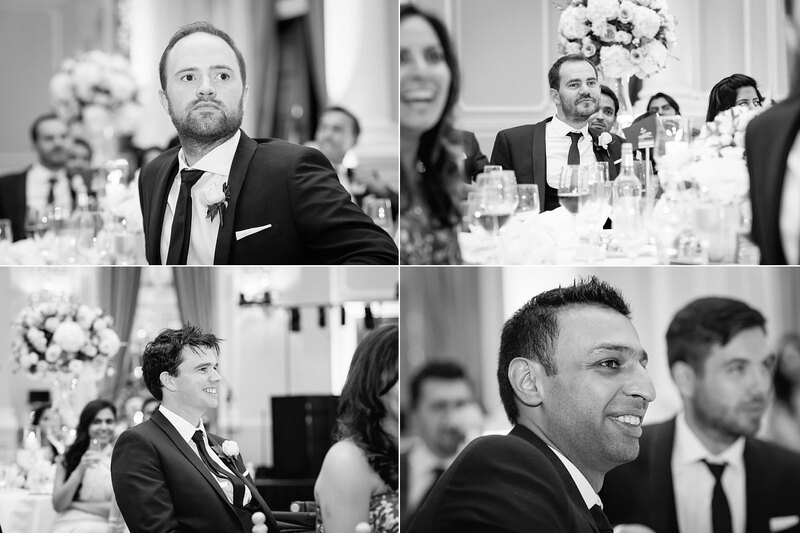 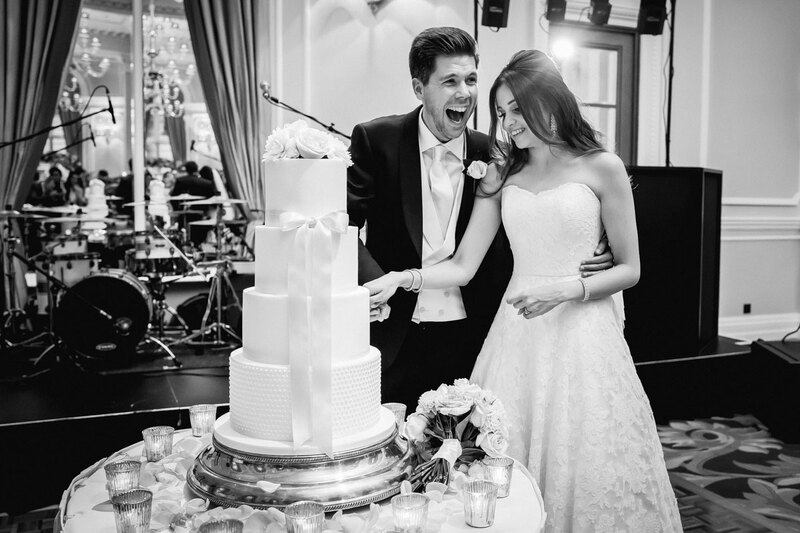 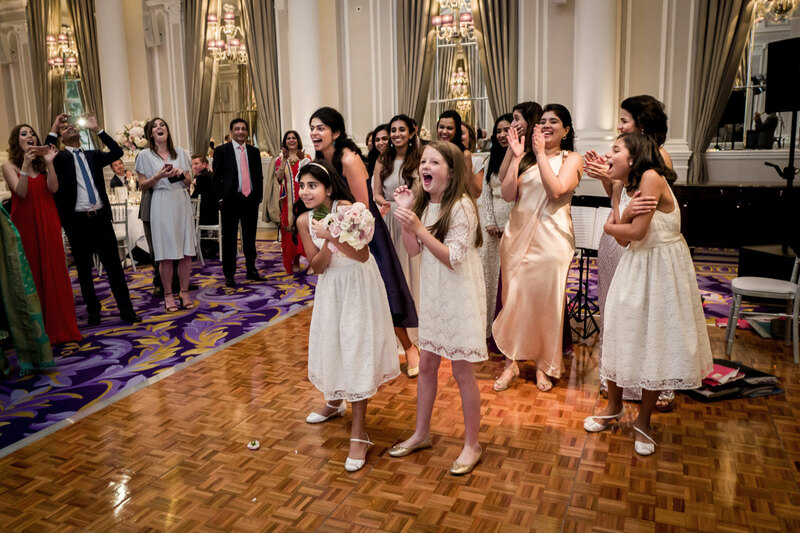 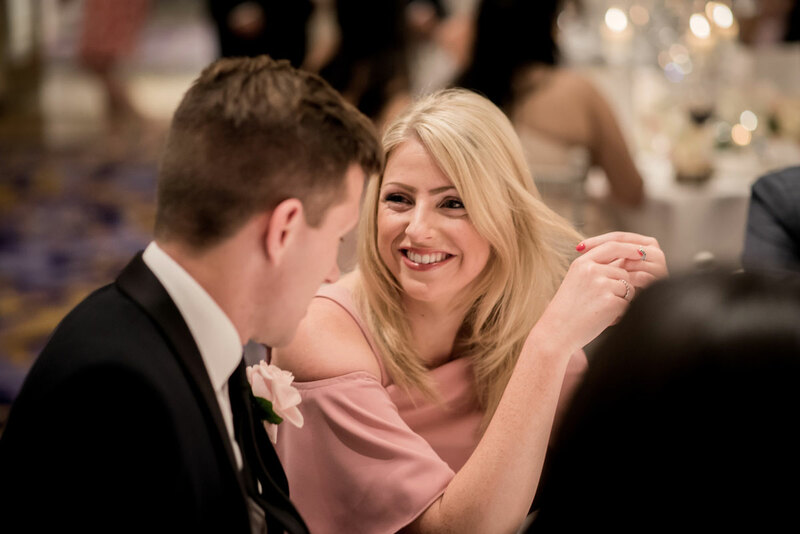 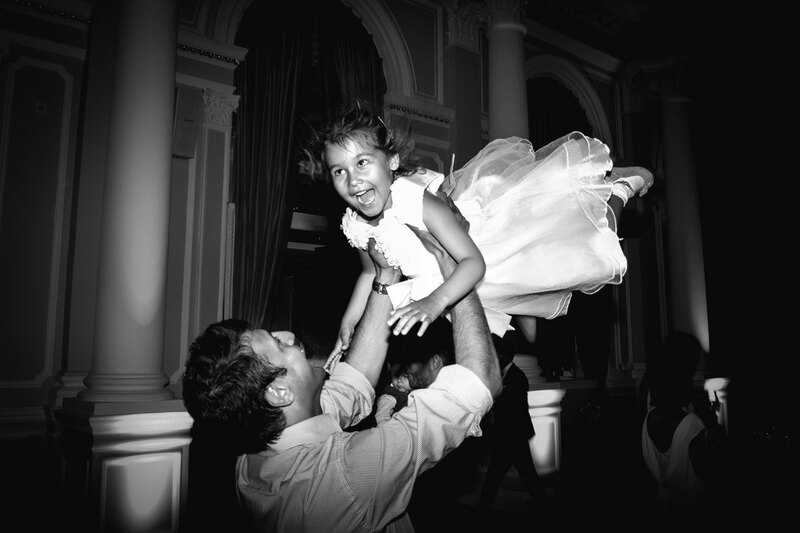 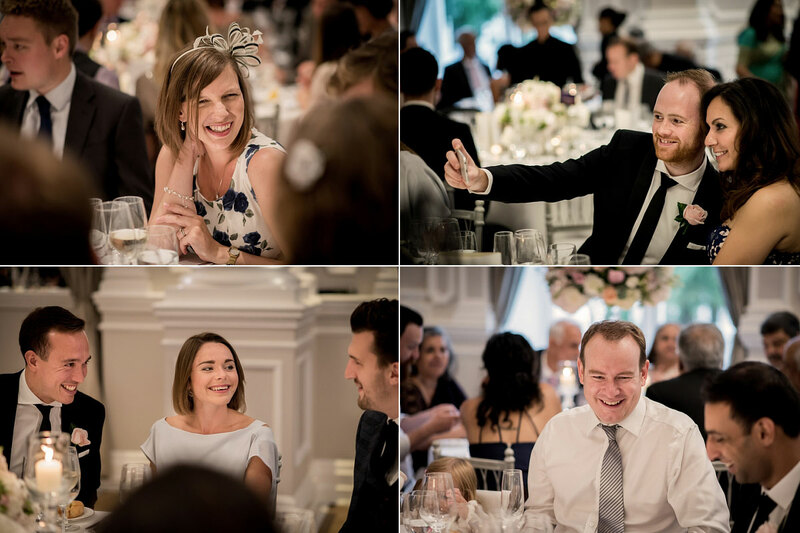 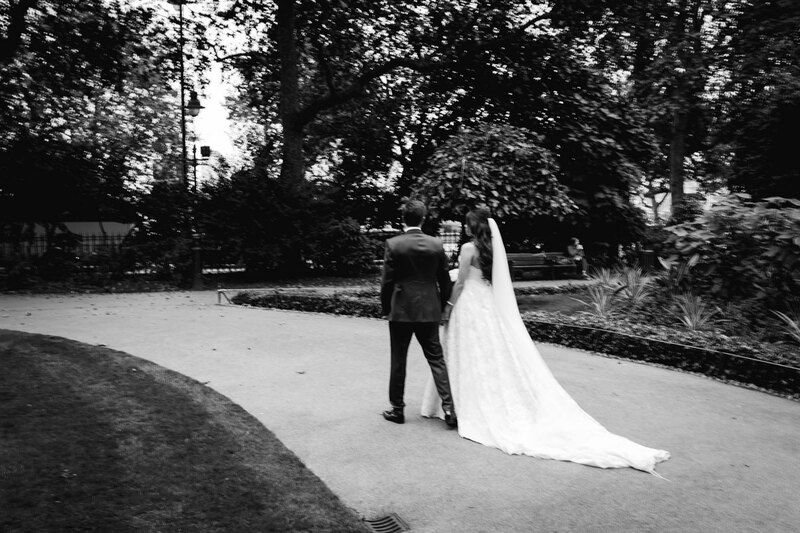 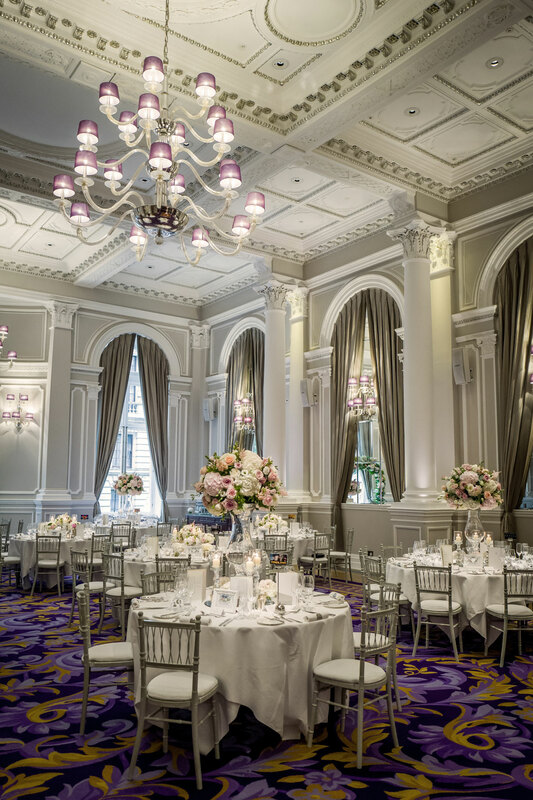 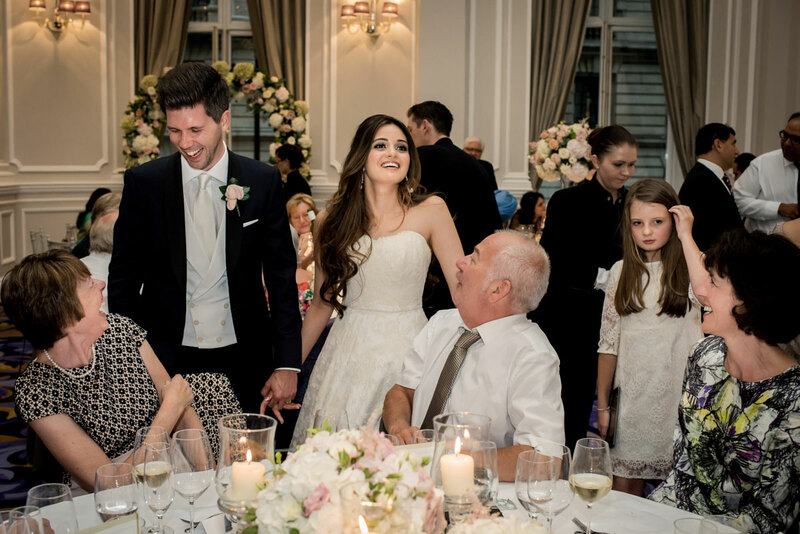 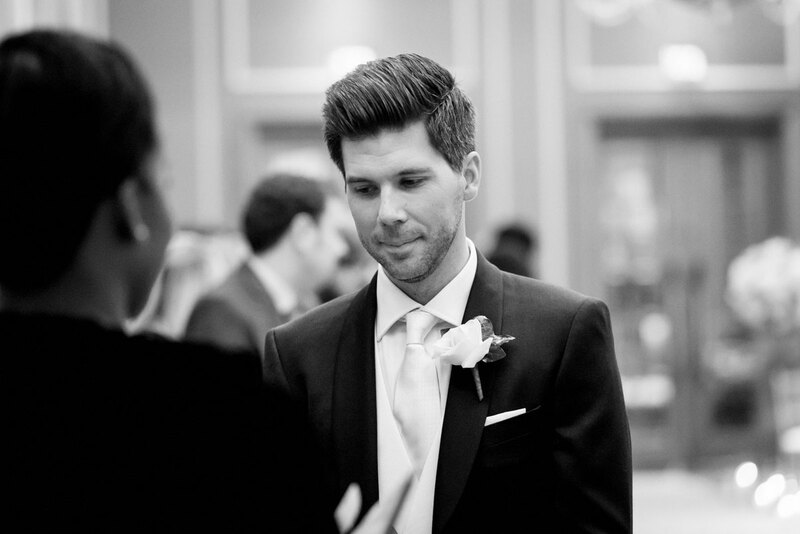 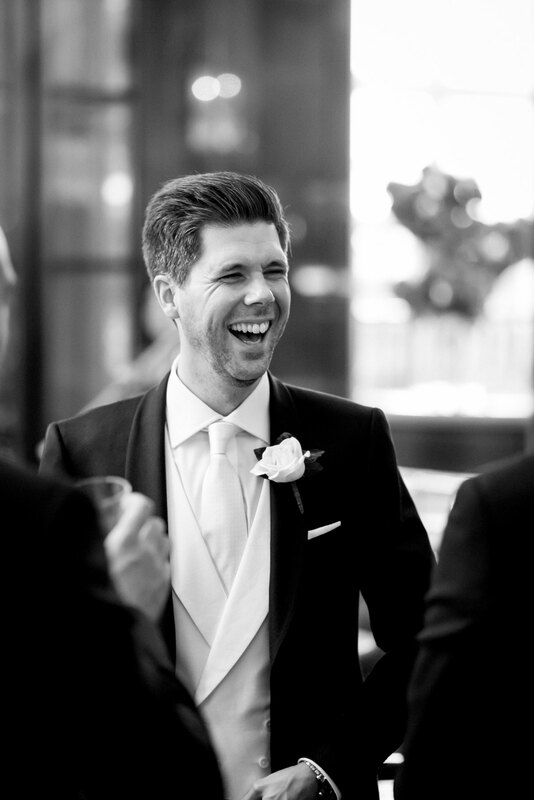 Thanks as always to Hannah and her teamies for making it a pleasure to shoot weddings at The Corinthia.